Eye shadow won’t last all day? Well you know I have a solution for you! Invest in an eye shadow primer! It works just like a paint primer would…it helps to hold the color longer by giving it a base to stick to. You can use concealer or foundation but those products tend to crease and crack. Sephora sells great primers! 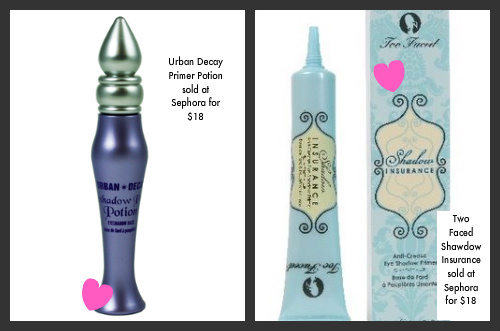 My favorites are Two Faced and Urban Decay Primer Potion.